There’s nothing like a fancy watch to elevate your style, but a Rolex won’t do on every occasion. If you or someone you love enjoys spending time outdoors, a more durable watch is needed. Military watches are the perfect option for outdoorsmen. In addition to being the most durable kind of watch you can find, they also feature a few other benefits that you aren’t likely to find with other watches. Most watches are at least water resistant, which means they’ll continue working even after being splashed by water. Some watches are waterproof, which means you can swim in a standard pool. Military watches that are perfect for the outdoors take waterproofing to the extreme. Not only can they be splashed with water and submerged, many quality watches can be submerged to an unbelievable degree. Some watches can even handle depths of 300 feet and more! If your outdoor adventures take you out on the water, this kind of waterproofing can save your watch. Apps on our phones have made it easier than ever to keep an eye on the weather. Unfortunately, if you’re out in the wild, a cell phone probably isn’t going to cut it. Understanding basic weather system patterns can help keep you safe when you’re far from civilization, but so can the right watch. Some watches enable you to stay up-to-date on all the latest weather events. In some cases, a notification can be enabled so that you don’t have to keep checking the weather. Your watch will notify you of a change. Some outdoorsmen love to spend time camping and fishing. Others take it to the extreme. If you love hiking for weeks at a time or traveling to new destinations to get your outdoor fix, knowing what time zone you’re in can be tricky. With multiple time zone displays, you can view multiple zones at once. This enables you to know exactly what time it is back home while keeping tabs on local time zones, no matter where you are. There’s no doubt that a compass can make life easier when you’re out in the wilderness, but that doesn’t mean you have to carry one around in your pocket. Instead, choose a military watch that includes a functional compass. That’s not all military watches can include. Some also display barometer and altimeter. This is especially helpful in rough terrain. Many GPS systems are great at pinpointing your location, but without barometer and altimeter information, you may not know much about your current elevation. 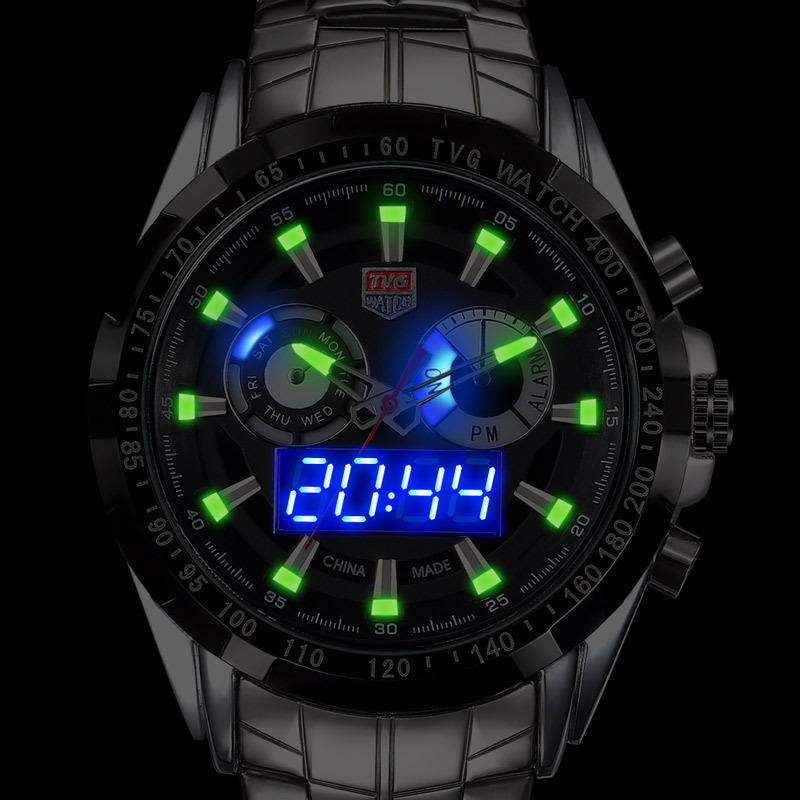 Most military watches also include LED displays and lighting systems, which can illuminate a large area, even in pitch dark! Watches can do much more than keep time. With the right military watch, you can explore the great outdoors with more confidence and less stuff in your rucksack.